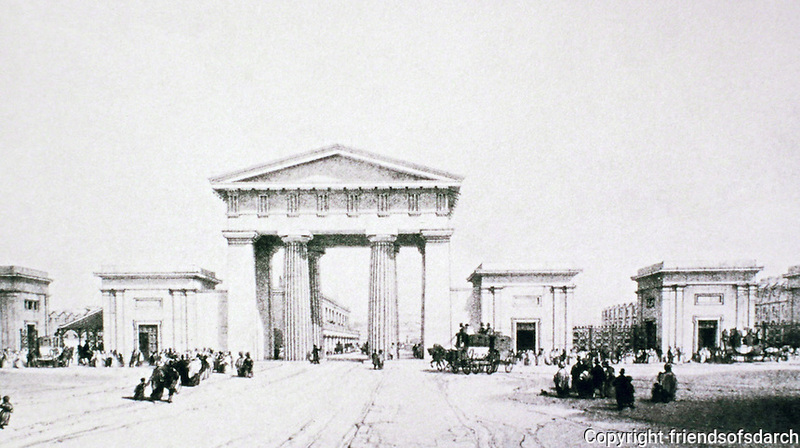 Euston was the first inter-city railway station in London.The Euston Arch was designed by Philip Hardwick to symbolise the arrival of a major new transport system as well as being seen as "the gateway to the north". Columns were made from Bramley Fall stone. 1838. Euston Station, London, Philip Hardwick, inner-city railway station, London, Euston Arch, Bramley Fall stone.